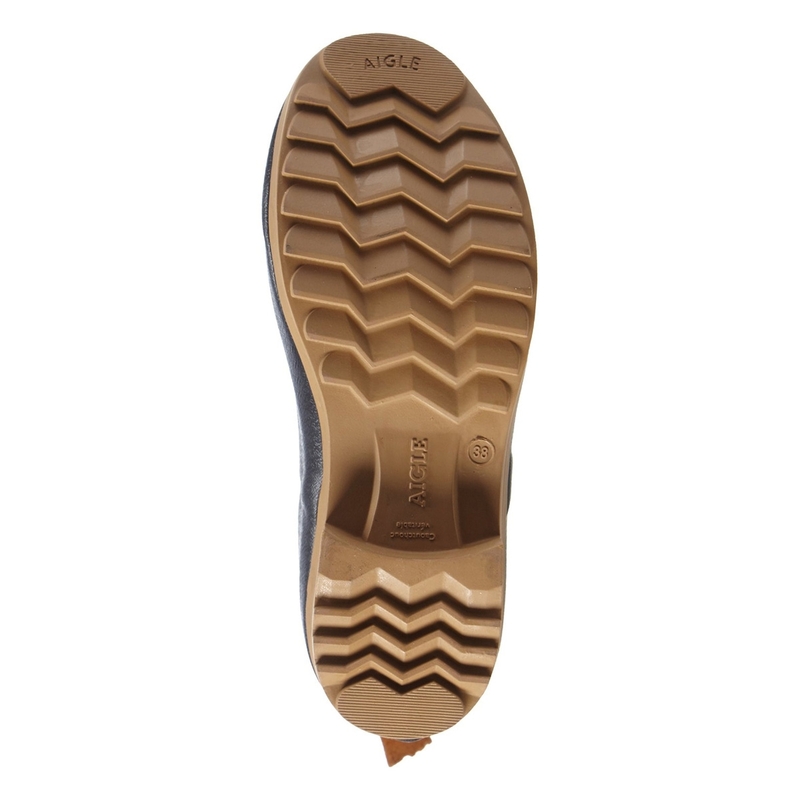 Aigle Victorine Ankle Wellington Boots. A stylish and feminine leisure ankle boot. Lugged outsole and small heel, curved shape and bright colours make these boot the ideal model for outdoor leisure activities with a feminine touch. 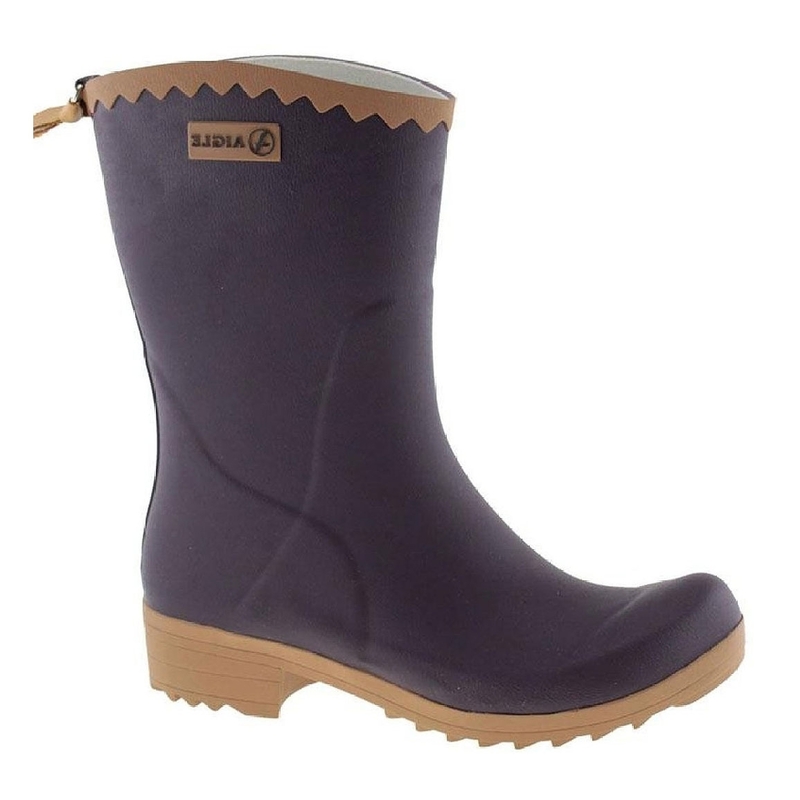 Easy to slip on, these rubber boots are handmade. These boots were exactly what I wanted. They offer a comfortable solution through short wet grass. These boots are so useful. I hardly ever use my tall wellies now. So good I brought another pair!!! I normally wear size 5 and ordered 5.5 for these lovely wellies. They fit well with one pair of walking socks so in my opinion they are a slightly small fitting style/ make. The quality of the wellies is excellent. They are both feminine and practical and weigh more than cheaper ones showing the quality of materials. Love my new boots. Ordered on a Friday but they didnt arrive until the Wednesday! Not a very good next day delivery service! Comfortable and stylish! I couldnt be happier with my purchase. Love these boots they are my 2nd pair. Very comfy lightweight durable. Will definitely buy again when needed. Super wellies really comfy and keep my feet nice and dry just right for walking my dogs. Excellent wellies. I now own 2 pairs.